Cape Town - The City of Cape Town has been warning of "Day Zero" for the past few months, pleading with residents and visitors alike to "Save like a local". With Level 6 water restrictions officially in place and "Day Zero" moved forward to the end of April, the city's hotels aren’t shielding their guests from the crisis - as Cape Town inches towards becoming the first major city in the world to run out of water. In fact, five-star and ultra-luxury properties are responding to the crisis with urgency. Jeff Rosenberg‚ head of the Federated Hospitality Association of South Africa (FEDHASA)‚ told Traveller24 that he is very happy to say that the majority of the luxury hotel market have bought into the process and the majority of international guests have also understood what the city is trying to do. “I know of certain instances in luxury hotels where the manager has gotten very firm with the guest in explaining the reasoning behind it. One guest actually checked out and went to another five-star hotel‚ where they ran into the same situation,” he adds. In October, the association launched a WaterWise Pledge to give hotels conservation tips‚ and Rosenberg says that although some travellers had complained‚ the majority had been overwhelmingly understanding. 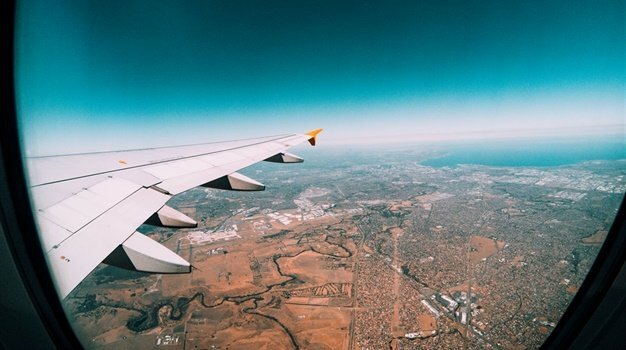 Traveller24 contacted some hotels in Cape Town to find out how their guests reacted to the water restrictions over the festive season, and how they played their part by "saving like locals". The hotels include Cape Grace, One&Only Cape Town, The Table Bay and Carlson Rezidor Hotel Group. Samantha Williams, Brand Manager at Cape Grace told Traveller24 that the hotel has been implementing supportive measures to protect this precious commodity since 2016, and continues to do so in light of the Western Cape’s water crisis. "Our indigenous succulents are irrigated with grey water while our bathrooms are fitted with low-flow shower heads and aerators that stem the flow of running water, aided by a reduction in pressure. "We have also removed the bath plugs to encourage showering instead of bathing. "Our pool is protected with a liquid pool blanket that is both environmentally-friendly, non-toxic and minimises evaporation," says Williams. For potable water, Willams says the hotel has installed a ‘Water from Air’ WFA 100+ machine – an innovative device which has been designed to produce potable drinking water from the surrounding atmosphere. This high-performance unit is a convenient and cost-effective means of providing pure drinking water of the highest quality and taste in limited quantities. "We have also fitted our cooling towers with screens to reduce spillage. "For travellers with little ones, we encourage the use of our new Baby Dams – baby bathing systems that can save up to 28 litres of water per use," she says. In addition, the hotel says it has also removed treatments from its spa that use large amounts of water. Working with guests, Williams says the hotel invites guests to partner with it by using the gifted hand sanitiser presented on arrival, favouring quick showers rather than baths and choosing how often they would prefer their linen laundered during their stay – taking note of the reminders that have been placed in rooms and on key cards. "We have reduced our water usage significantly and continue to look for ways to raise awareness and conserve our most precious of resources," she adds. The Table Bay Hotel says the crippling water shortage has inspired the hotel into introducing various ways to save water, store it and reuse it, while limiting the hotel’s impact on the environment and municipal water supply. The hotel hopes that by "spearheading water conservation efforts in Cape Town, others in the hospitality industry and beyond will be inspired to follow suit". "South Africa is a semi-arid country, making water a scarce and precious resource," says General Manager at The Table Bay, Joanne Selby. "With building a sustainable community and environment close to our heart, we are intensifying our efforts to save water. We all need to use precious resources mindfully. Collaboratively, every little bit helps." The hotel says another grey-water collection point where water is collected and reused for other purposes is at the pool plant room where a downpipe has also been plumbed to capture rainwater. The hotel also installed a complete recycling backwash system for the pool. "As a five-star hotel with an international, green-conscious clientele, we’ve found that our guests are very willing to participate in our efforts," says Selby. "We’re proud of what we’ve achieved so far and the interventions we’ve implemented have allowed us to retain similar water consumption during peak occupancy periods to that of our lowest occupancy periods." 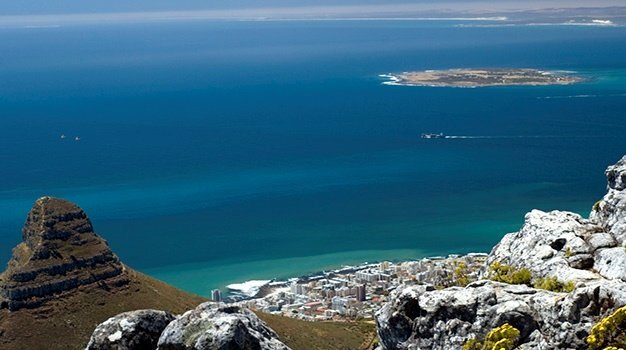 One&Only Cape Town told Traveller24 that the resort is seriously committed to drastically reducing water usage and have invested heavily in their resources, technology and water-saving initiatives in order to do so. "With water at critical levels, we are taking every possible step to effectively manage our water consumption and encourage our guests to ‘Save Like A Local’. "Along with introducing waterless hand sanitiser, installing eco-shower heads and aerating devices on all taps to minimise demand and consumption - saving more than 25% since July - we have implemented greywater harvesting," says the hotel. ALSO SEE: WATCH: What is an aquifer and why is it important for the #CapeDrought? Many of the changes that One&Only have implemented include switching to low-flow shower heads and taps, washing cars less, converting fountains into rock gardens, topping up swimming pools with treated salt or recycled water, using native and/or succulent plants, collecting unused water from ice buckets and half-empty water bottles throughout back-of-house operations, and washing linens every few days or once per stay rather than daily. Added to that, the hotel says guests don’t seem disturbed by the implementations and if anything, they are happy as it can be seen from the 'guest satisfaction score' that the hotel keeps track of every month. Carlson Rezidor Hotel Group, says each of its six hotels, namely, Radisson RED, Radisson Blu Hotel Waterfront, Radisson Blu Hotel & Residence, Radisson Blu Le Vendome Hotel, Park Inn by Radisson Cape Town Newlands and Park Inn by Radisson Cape Town Foreshore are actively participating in the water saving initiatives and are also taking every opportunity to educate and encourage guests to save water too. The hotel group says communication is presented by TV displays in the hotels illustrating the importance of the hotel group’s goals as well as displaying banners across the hotels with a focus on awareness and requesting support to save water. At all six hotels, the group says they have informed all guests that Western Cape is experiencing a drought and asked them to please be water conscious. Many of the changes that the hotels have implemented include selling bottled water at cost price to guests, pool cover which is only removed upon request - with no topping up of pool water, invested in a tank that will catch all public bathroom basin water, installed hand sanitisers in all public area toilets to avoid unnecessary water usage, placed buckets in showers when requested, reduced water flows, shower heads and water restrictors on taps, and harvesting rainwater. Clinton Thom, General Manager of Park Inn by Radisson Cape Town Newlands and Radisson Blu Le Vendome says guests from other provinces within South Africa were slightly less understanding than the accommodating and supportive international guests, however, all participated in the water saving initiatives. "The guests showed concern for Cape Town and the Western Cape and were very supportive and strictly adhered to the hotel's initiatives," says Thom. Dale Simpson, Curator of Radisson RED Cape Town says they found guests to be incredibly supportive and understanding of the situation. "They were interested in what was being done and keen to do their part in saving water. "They were also aware of different crisis situations in different cities throughout the world, maybe different issues but very understanding," says Simpson. Jim Schleich, General Manager of Park Inn by Radisson Cape Town Foreshore says all guests have been very accommodating and to date have not had one complaint. "We have information in the elevators and in all guest rooms explaining the seriousness of the issue," he says, adding that they haven’t gone down the road of buckets in the showers yet but are considering this option. Desmond O’Connor, General Manager of Radisson Blu Hotel & Residence says most guests were very good in that they proudly came and “bragged” about showering in the time allotted by the egg timers in the showers. Added to that, one happy guest, who were celebrating their anniversary at the hotel left a good review on TripAdvisor. "We were on a tour with Gate 1 Travel and happened to mention that the trip was to celebrate our anniversary. "On the bed, the hotel left us a towel swan with rose petals sprinkled about and spelling out 'HPA'. "They also gave us a bottle of champagne and a chocolate cake that said "Happy Anniversary." The rooms were very nice but, of course, you expect that of a Radisson. It was the extra thought that made this hotel special. "Unfortunately Cape Town is in the middle of the worst drought in 100 years. Therefore they asked us to restrict our water usage. There was an hourglass time in the shower which was a nice touch to help us keep our use to a minimum. "They provided free bottled water (from springs so didn't affect the drought) so we didn't have to use the tap water as well as hand sanitiser," writes the reviewer. Debra Sivertson, General Manager of Radisson Blu Hotel Waterfront says, for the most part, all of their guests have been very accommodating and understanding. "A lot of guests said they only became aware of the situation once in Cape Town and some only when they arrived at the hotel. "Many guests chatted with our teams to proudly let us know that they were taking shorter showers, one gentleman proudly advised that he was rinsing his toothbrush in a cup," she says.